Trillanes, Lim and cohorts are sick and stupid! We want and need them to be arrested and be jailed. They have no right to do this. At 5 PM local time, government troops breaks into the Manila Peninsula Hotel and Trillanes and cohorts surrender. A curfew from 12 AM to 5 AM 11/30/07 has been ordered by President Arroyo. 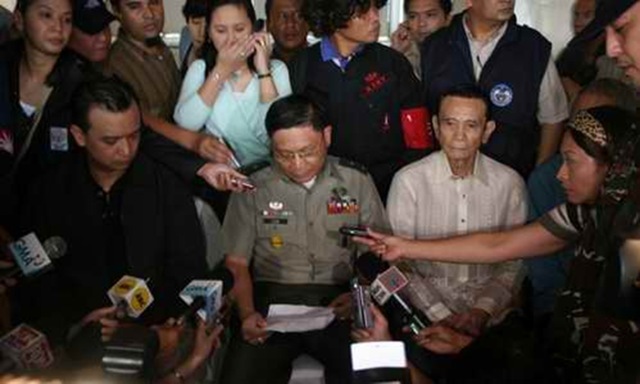 Inquirer.net: Is it a coup, mutiny, putsch, situation, or what? PinoyExchange.com: Magdalo wants Ayala revolt 1 now! !